I got unbelievable news from the mother of these two babies. Their father suggested to her that they take them to be sacrificed so that they can get out of the problems they have. As the father went to look for a car to take them, the mother ran with them to our church. I have asked the mother to hide with the kids and am looking to have them live with us at our home. Can you imagine such nice kids to just die like that?? I would like to include them on our program. Pictured below is 4-yr old Jaireh Shalmon, born June 15, 2006. 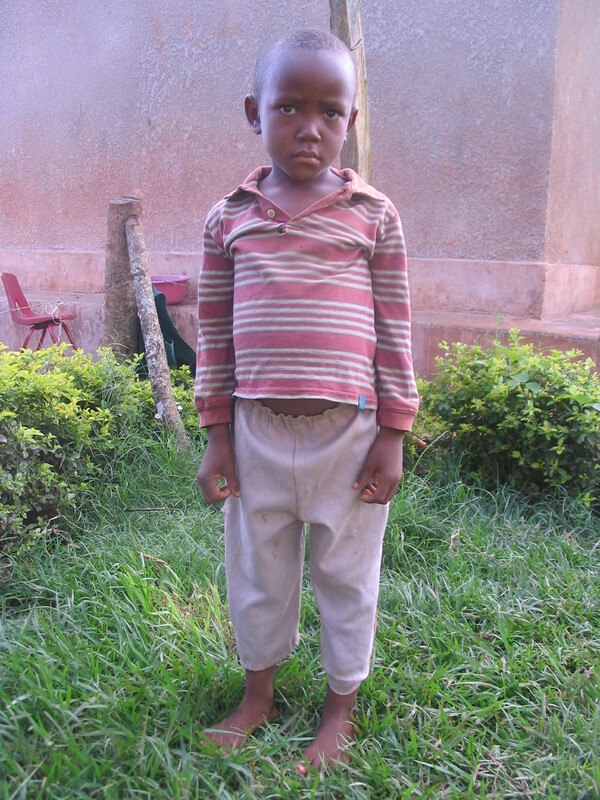 If you would like to sponsor him, please go to the sponsorship page and simply indicate you’d like to sponsor a child from the Jan 26th post. There are also more children waiting to be sponsored. They can be seen on the waiting children page.